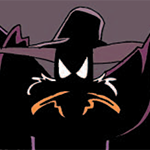 The Old Haunt: A Darkwing Duck Forum Main Menu Duck Talk Midnight Edge talks Ducktales. A very informative video. I thought you all might be interested.